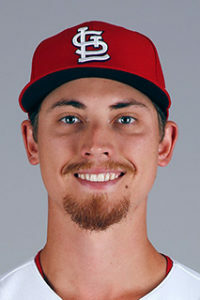 Luke Weaver was stellar over seven innings but the St. Louis Cardinals offense could not support him with runs in falling 6-2 in the series opener with Philadelphia at Busch Stadium Thursday night. Carlos Santana hit a solo homer in the fifth inning for the only run off Weaver. The Cards starter allowed just four hits over seven frames while striking out six. The Phillies scored five late runs in the eighth and ninth to break open a tight game. Aaron Altherr added a two-run single in a three-run eighth to make it 4-0, and Pedro Florimon tacked on a two-run homer in the ninth. Vince Velasquez pitched six and a third shutout innings for his fourth win. Marcell Ozuna and Jedd Gyorko drove in runs for St. Louis in the eighth.